Jake Bradley of Claypool, Indiana went home to be with his Lord and Savior at 12:29 p.m. on Monday, November 26, 2018…he passed away surrounded by his family at the age of 75. He was born on September 28, 1943 in Prestonsburg, Kentucky to Phoebe (Hyden) Bradley and Jake Bradley, Sr. On November 27, 1968 he was married to Mary Lou (Shepherd) Bradley, who survives. Jake was a resident of Kosciusko County, Indiana for the past 50 years and had worked for 38 years at Par-Kan Industries in Silver Lake, Indiana as a welder. 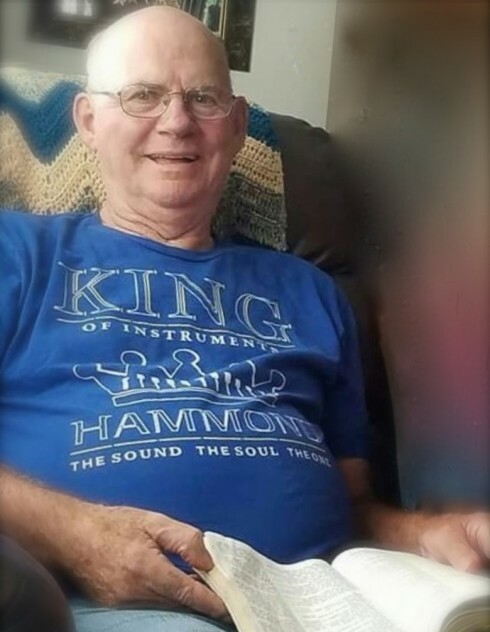 He was a member of First Free Will Baptist Church of Kosciusko County in Claypool, Indiana, had a love of farming, hunting and being outdoors. Jake had an even greater love for God, his “Queen”, as he affectionately called his wife Mary, his girls and his grandchildren…which he very much enjoyed teasing. He will be dearly missed by his family and friends. He will be lovingly remembered by his wife of 50 years, Mary Lou Bradley (Claypool, Indiana); three daughters: Lachelle (Matt) Alexander (Claypool, Indiana); Susan (Bernard) Manns (Silver Lake, Indiana); Janelle (Daron) Norris (Mentone, Indiana); and five grandchildren: Joshua, Seth, Elizabeth, Dawson and Jordan. Also surviving are three brothers: Frank Bradley (Prestonsburg, Kentucky); Jim (Sue) Bradley (Prestonsburg, Kentucky); Loren (Ruby) Bradley (Silver Lake, Indiana); three sisters: Alvie Hackworth (David, Kentucky); Phylis Bolen (Allen, Kentucky); and Dorothy (Bethel) Bolen (Prestonsburg, Kentucky). He was preceded in death by his parents, four brothers, and two sisters. Visitation will be held at First Free Will Baptist Church of Kosciusko County, 58 W. 700 S., Claypool, Indiana from 3:00 – 7:00 p.m. on Thursday, November 29, 2018. His funeral service will be conducted at 10:00 a.m. at the church on Friday, November 30, 2018 and officiated by Pastor Terry Bradford. Burial will follow with a graveside service at Lakeview Cemetery in Silver Lake, Indiana. Arrangements were entrusted to Redpath-Fruth Funeral Home, 225 Argonne Road, Warsaw, Indiana. Memorial donations in Jake’s name may be directed to Treasures for Troops, P.O. Box 43, Claypool, Indiana 46510 and would be appreciated by the family.